Invited to China for a reciprocal visit with the Huangyan Children’s Choir. The tour included a live, national concert broadcast and singing at the Australian Pavilion at the 2010 World Expo, Shanghai. 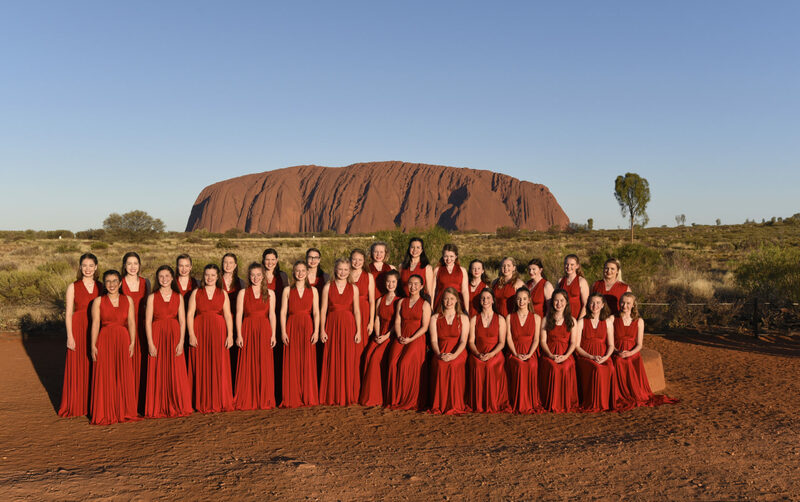 NSW Ministry of the Arts approved a grant of $5000 towards a tour to the International Choral Sympattii in Finland – followed by a concert tour of England and Wales including visits to Abbingdon, Manchester, and Birmingham and London. Highlights included performing in Westminster Abbey at the Tomb of the Unknown Soldier, Birmingham Cathedral and St. Anne’s, London. Awarded an Australia Council Grant (New Work) of $1900 to commission Sydney composer Matthew Orlovich to write “Gum Tree Country”, a 5-minute piece in three movements for SSAA about Australian bushfires, showcased in Finland. Highly successful Premier Performance of “A Coming of Age” by Timothy Sexton commemorating Australia’s Centenary of Federation. Live CD recording of “A Coming of Age” for choir and orchestra. Featured on the front page of the Newcastle White Pages Telephone Directory. First Australian choir to represent Australia in the Kathaumixw Choral Festival in Powell River, BC, Canada (www.kathaumixw.org) The choir entered only two sections and succeeded in gaining a first and second place in both sections. Following this was a highly successful concert tour of British Colombia which included Gibsons, Nth Vancouver, Salmon Arm, Kamloops and Whistler. Recorded the fourth CD “Waratah Girls Choir On Tour”, a compilation of popular repertoire from the Canadian tour. Once more competed in and won $5000 for 1st place in the GIO Open Choral Award at the McDonald’s City of Sydney Performing Arts Eisteddfod. Invited to perform at the Australian Choral Associations Conductors Seminar as the demonstration choir for guest conductor, Professor Rodney Eichenberger from Florida University, USA. Awarded a grant of $23, 000 by the Federal Government of Australia towards a commissioned work for choir and orchestra by composer, Timothy Sexton. This resulted in the creation of “A Coming of Age” to commemorate 100 years of Australian history as seen through the eyes of youth. A second highly successful tour of Japan resulting from an invitation by the Society of Asian Pacific, visiting Matsura-shi, Fukushima-cho, Ohtawara-shi, Edogawa, and Tokyo (Tama-shi). Received a High Distinction (97/100) and Top of State Award for the Gold Certificate International Choral Assessment from Trinity College, London. Recording of an all Australian CD – Australia Be Proud. Invited as one of Australia’s top ten choirs to participate in the Australian National Choral Association’s Choralfest held in Sydney.